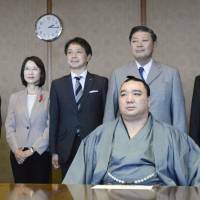 TOTTORI - Police announced a probe Wednesday into sumo yokozuna Harumafuji’s alleged assault on fellow Mongolian wrestler Takanoiwa late last month after the suspected brawl left the victim with serious injuries. The investigation into the drunken brawl began after the victim’s stablemaster reported the incident to police late last month. 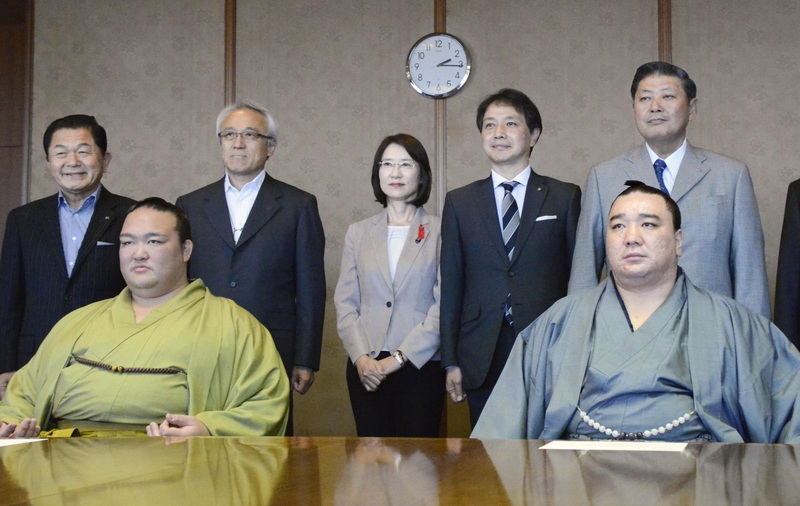 On Tuesday, Harumafuji offered an apology but did not elaborate on the incident. 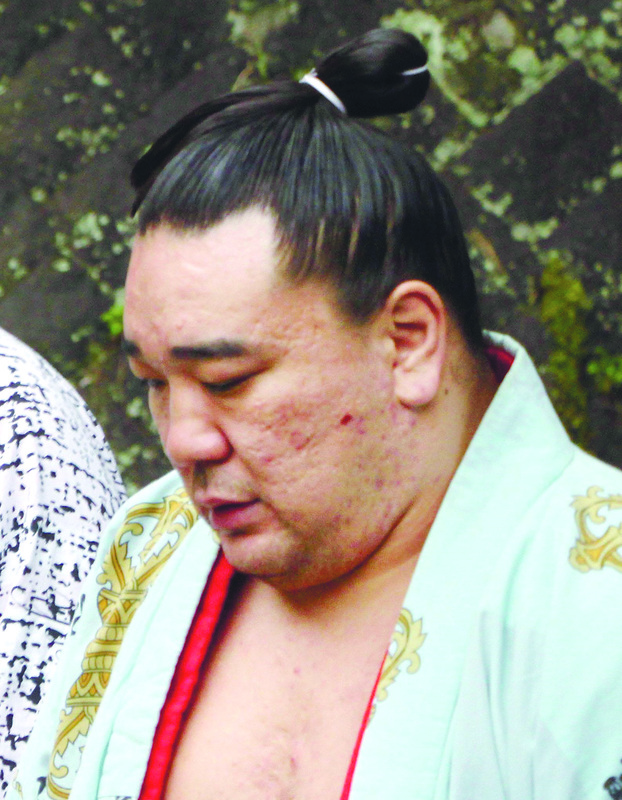 According to sources, Harumafuji, a nine-time tournament winner, was drinking with a group of around 10 sumo wrestlers in late October during a regional tour in Tottori, when the yokozuna, angered by Takanoiwa’s attitude, struck him with a beer bottle. 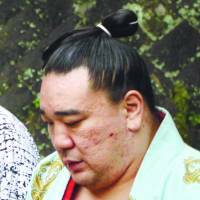 Harumafuji, 33, had been angered after Takanoiwa began looking at his smartphone during a scolding over behavior, the sources said. In addition to hitting him with the beer bottle, Harumafuji had also punched him some 30 times. Takanoiwa, the eighth-ranked maegashira, was hospitalized from Nov. 5 to 9 after being diagnosed with a concussion, a fracture at the base of his skull and a cerebrospinal fluid leak, as well as other injuries. The injuries left him unable to compete in the ongoing Kyushu Grand Sumo Tournament. Following revelations of the fight, Harumafuji pulled out of the tournament. Mongolian yokozuna Hakuho and Kakuryu, sekiwake Terunofuji and some Japanese sumo wrestlers were among the group drinking with the two, the sources said. The incident sent shock waves across Japan, reminding fans that the ancient sport has yet to repair a reputation tainted by scandals over match-fixing, violence and bullying. As the gravity of Harumafuji’s alleged assault gradually emerged Wednesday, condemnation of his behavior has morphed into disappointment that sumo’s hidden underbelly has yet again stained the reputation of Japan’s national sport. The latest blow came just as the sport had begun seeing a revival in popularity, with the promise of exciting matches between the four top-division yokozuna buoying a string of sellout tournaments. In a 2007, a high-profile case saw 17-year-old wrestler Tokitaizan, whose real name was Takashi Saito, die from injuries sustained in a beating by his stablemaster and three older wrestlers after attempting to flee from the Tokitsukaze stable. All the assailants were eventually arrested. In an interview with Kyodo News on Tuesday, the murdered wrestler’s father, Masato Saito, said that even a decade after his son’s death, he is still overcome by chills when watching sumo on TV as it reminds him of his son’s bruised and battered body. Saito, who has grappled with stress-related illnesses, said that although friends had told him to put the past behind him, he feels like his life has been frozen since his son’s beating death. But while he says he is justified in withdrawing from society, he says the sport’s governing body has no right to do the same. “I’m truly angered by the fact that nothing has changed in the world of sumo,” Saito said. Public figures have been quick to voice their ire at sumo’s ills after the scandal landed on front pages of newspapers nationwide. But Harumafuji’s stablemaster, meanwhile, has refused to speak to crowds of reporters waiting for him at Fukuoka Kokusai Center, which is hosting the Kyushu tournament. Although the JSA said it will not hand down a ruling until after the Nov. 12-26 tournament, speculation has hit a fever pitch that a disgraced Harumafuji will be forced to retire.